The 2011-2016 Duramax suffers from a high pressure fuel pump issue unique to this year range. Failure of this CP4 pump is usually catastrophic, causing instant contamination of the entire fuel system with metal particulates. Chances are, if you’re looking at this page, you’re well aware of the problem. Below we will discuss the reasons for this failure, how to diagnose a pump failure, and show you the parts you need to properly fix your vehicle. The short answer: lack of lubricity. Lubricity is most commonly defined as the ability of a fluid to minimize the degree of friction between surfaces in relative motion under load conditions. The CP4 injection pump creates higher pressures with less volume than its predecessor, the CP3 pump. 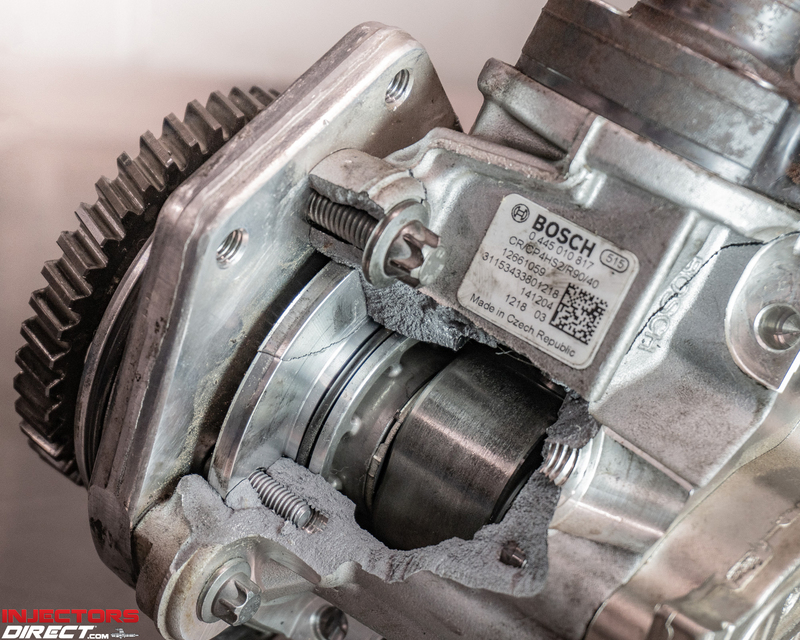 Although this makes it a more efficient pump, the lack of volume creates a lack of lubrication since these pumps rely on the diesel fuel to act as a lubricant. In addition to the higher pressure and lower volume, the removal of sulfur from modern diesel fuel (Diesel #2 or Ultra-Low Sulfur Diesel) also destroys compounds that exist in the fuel naturally that would normally contribute to increased lubricity. Some fuel resellers mix lubricity-increasing additives into their fuel prior to sale, but this is not consistent and not well-regulated. Using a commercially available diesel fuel additive can be helpful, but cannot be guaranteed to prevent CP4 pump failure. 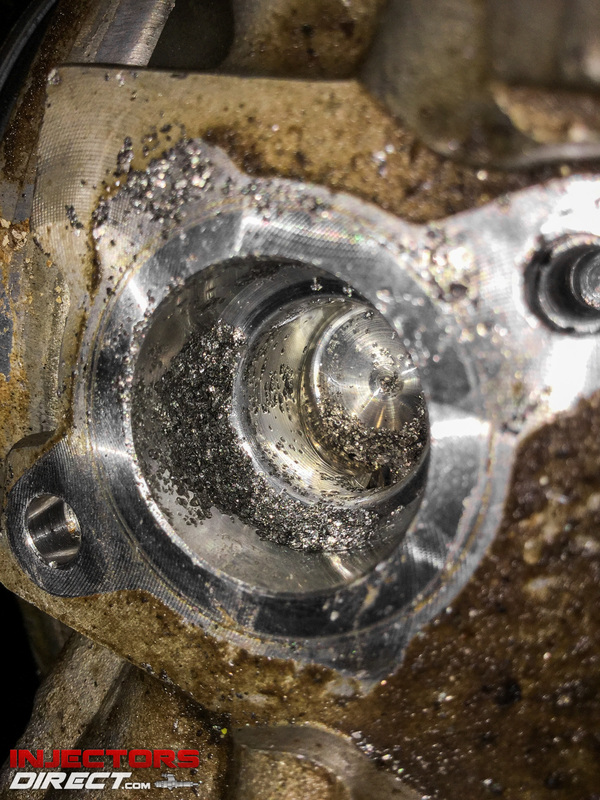 The LML and LGH CP4 pumps most commonly fail due to this lack of lubrication which causes internal metal parts (the drive cam, cam follower or pump piston, as well as the housing itself) to rub against each other and begin to shave off small metal particles. These particles are immediately distributed throughout the fuel system causing catastrophic failure. Some pumps actually seize up completely and burst the aluminum housing open as a result of this failure. Using lubricity additives doesn’t guarantee that your pump won’t fail someday, so it’s important to know what steps to take when it happens to you. If you’re experiencing a hard start or no start, or are getting the following trouble codes; P0087, P0088, P0191, or P128E, a pump failure could be the problem. Remove the CP4 pump and then the fuel pressure regulator for inspection. If the body casing of the pump is cracked, as in the picture, or you find metallic debris on the fuel pressure regulator screen (pictured right) this is indicative of a pump failure. InjectorsDirect.com has put together complete repair solution for LML/LGH CP4 Pump failure using all OEM parts (pictured below.) Simply flushing the fuel system is inadequate, and could lead to residual contaminants in your fuel system. 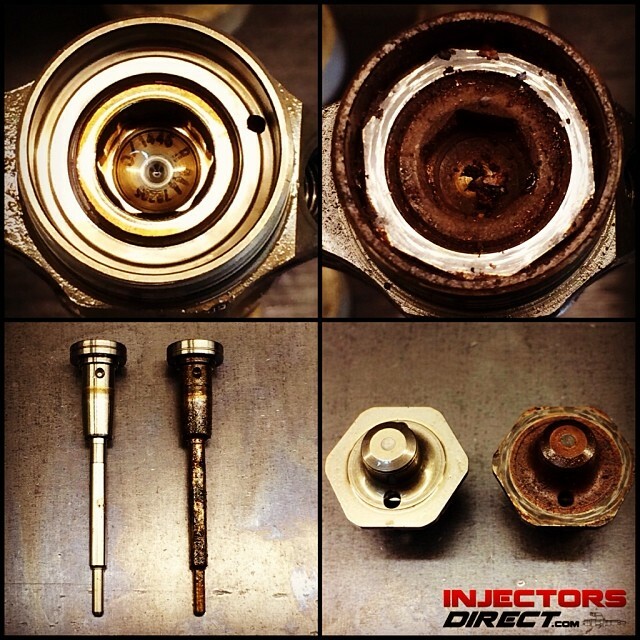 Contamination is the number one cause of repeat injector failure, and replacing all of the fuel system components is the only way to prevent recurring contamination issues. 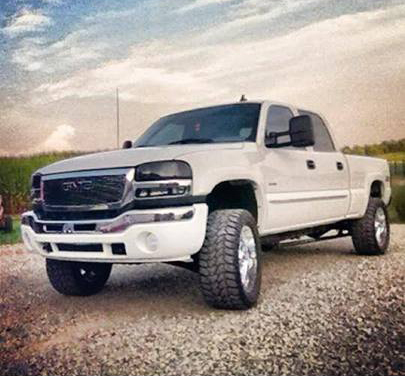 Click here for more information and to purchase the kit for your 2011-2014 Duramax LML Truck. 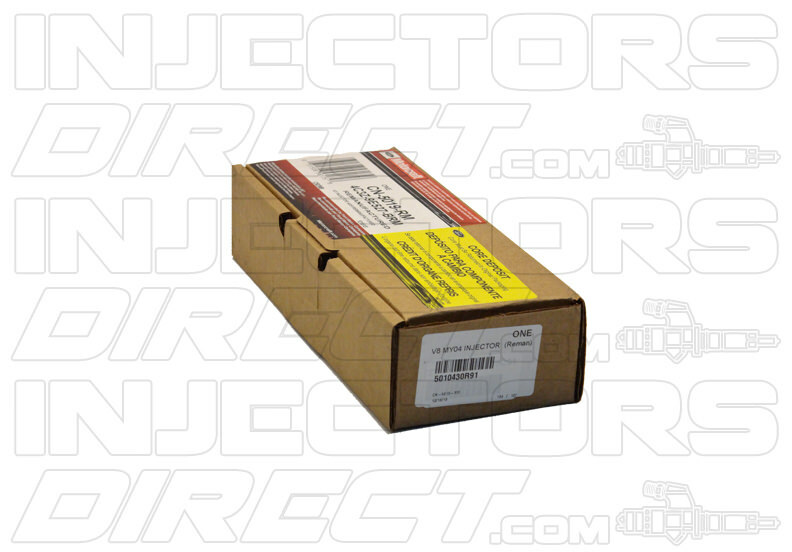 Click here for more information and to purchase the kit for your 2011-2014 Duramax LGH Van. Give us a call or click today and get back on the road! 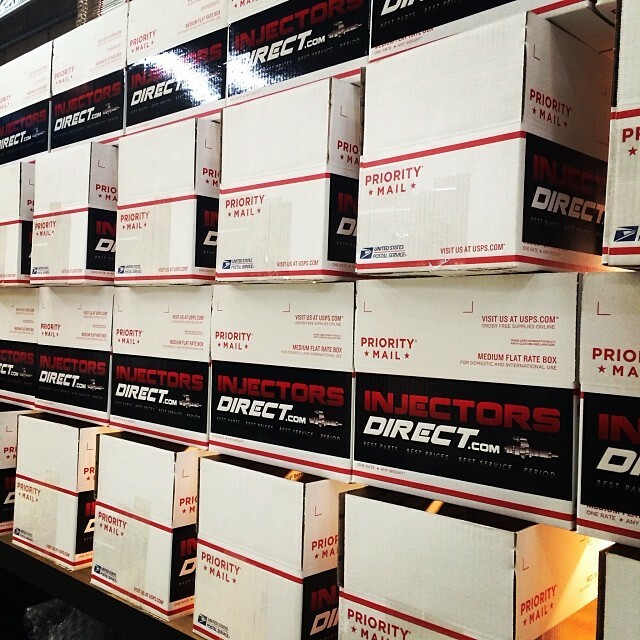 What’s New at Injectors Direct? Could you please email me a copy of this LGHCP4 pump failure tech bulletin. Had to do a $10,000 replacement of fuel system on my 2014 gmc 3500 due to metal shavings. Trying to negotiate warranty with General Motors. Thank you for your assistance. Good morning – We will send over a copy of the tech bulletin text right away. Thanks for stopping by! Hi Robert- Yes, we definitely recommend running a fuel additive in every tank, this will add lubricity to your fuel and help your pump & injectors last longer. If your truck has the original CP4 you might consider upgrading to the updated CP4.2 as a precaution to avoid the catastrophic failure. 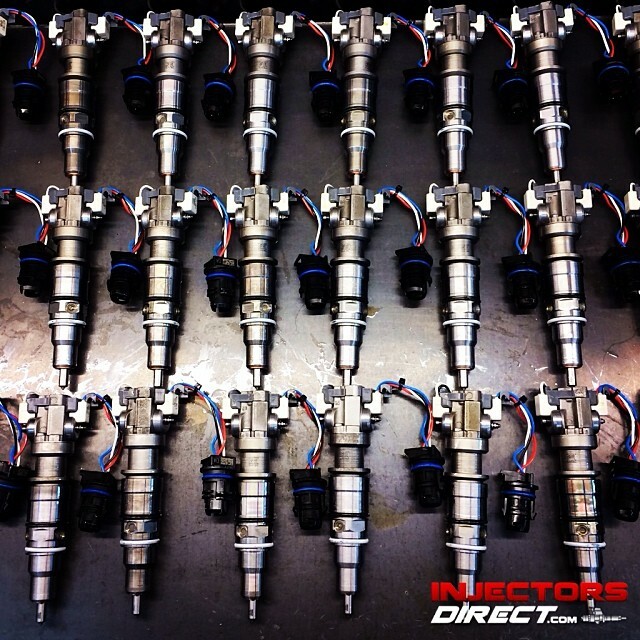 We have the pump available here: https://www.injectorsdirect.com/product/duramax-lml-lgh-cp4-injector-pump/ Please let us know if you have any further questions. When we do get truck returned, what fuel additive would you recommend for us going forward? We are full time RVers towing a 5th wheel around the country. Thanks for the informative article you have posted. Hello Rick, Glad the article has been helpful for you. 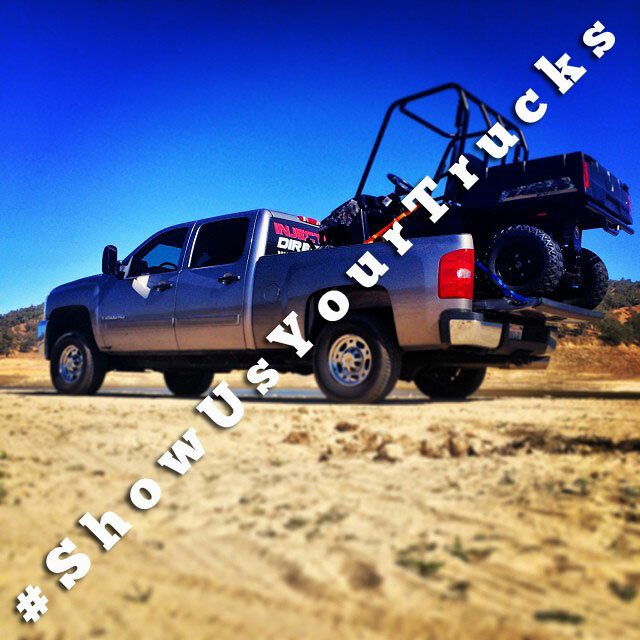 We run Stanadyne Performance in all of our trucks and have had a lot of good luck with it. Hi, I just experienced the problem described above. This article helped me through the whole process, thank you. My truck is a 2016 2500 Duramax 91.5k on it. The dealer quoted the repair at 13k retail. Thankfully it was covered under the power warranty. I asked the obvious question- has the CP4 pump been improved? Their answer was yes. What do you all think? Hi Marco- We’re glad to hear our article was helpful for you! Yes, the updated CP4.2 pump has proven to be much more reliable. We sell a lot of these kits and have not seen any failures to date. Please let us know if we can be of any further assistance. My CP4 just went out on my ‘16. I asked mechanic at dealship if it was the same pump and he said he thought it was an updated pump. I don’t know. I thought the 16’s had the CP4.2 already. Hi Jeff- Sorry to hear this! 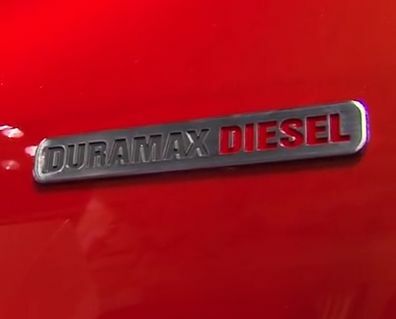 Unlike the 2011-2016 LML the 2019 Duramax uses a Denso HP4 pump. Either way, your truck should definitely be covered under warranty. Let us know if we can be of any assistance. I have a 2013 model 3500 with 75,000 on it. Its over the 5 year time frame but mine blowed up. $10,900 repair. Can I get a copy of the tech bulletin? Hi Brad- We’ll send over a copy of the tech bulletin text right away. Thanks for stopping by! 2013 Duramax owner. Could you send the bulletin my way as well? I want to talk to my dealer. Thank you for this great info! Hi Steve- No problem, we’ll send it over right away. Thanks! I have a 2016 Duramax and the cost is supposed to be $13,000. Can I get a copy of the bulletin. Hi Frank- No problem, we’ll send you a copy. My 16’s CP4 just went up. 59,000 miles all stock. But it was covered under powertrain. How many miles did yours have ? Since it would seem the failures are at random time or milage time frames is there an investigation into poor priming practices ie.air passing thru the linear spaces causing a dry ( no lubrication;fuel) condition that can be causative to failure. Certain industrial application run bearing surfaces at high temperatures and possible higher bearing speeds with only pure water as coolant and lubricant with out failure . For the life of the systems. Hello Francis, We see the common reason for the failure of the original CP4 Pump is mainly due to the lack of Lubricity, it is a combination of less volume in the CP4 Pump and the removal of sulfur from modern diesel fuel. This creates a very unfortunate circumstance for the original CP4 leading to catastrophic failure in most cases. Good morning Brian – we will send that over right away! I have 2013 GMC 2500, 102,000 miles. No problem so far. But this concerns me a lot! Options? Hi Byron- You might consider upgrading your pump to the updated CP4.2 as a preventative measure. Feel free to give us a call if you’d like to discuss further. I have a 2011 GMC Savana LT 3500 Passenger Van with the LGH 6.6 Duramax. I currently have just under 35,000 miles. It has not done any heavy towing so far and is completely stock. It has been mostly used for hauling the family around for vacations and certain events. I have has no issues with the fuel system to date. Would it be wise to change out just the CP4 pump before I start to notice any issues? Hi Mike- Yes, that would be a good idea. We have the updated CP4 pump in stock, let us know if we can help. Hi,have a 2016 2500 6.6 with 32k on it and no issues so far. What “exactly” has been improved on the cp4.2 pump..?